The below content is directly lifted from an article at Rediff.com. This article was written by Dr.Satya Pal Singh, Police Commissioner of the city of Nagpur in neighboring state of Maharashtra. Iam not sure how good is it to lift content but I thought it is worth it to share with my friends who take their valuable time out to read my blog. I thank Dr.Singh for this valuable contribution. 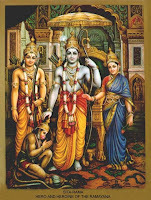 Since thousands of years, not just in India but also all over the world, one of the greatest men who influenced and touched the hearts of millions � both common men and elite alike -- with his strength of character is Ram. His time was that of great kings and world empires. This was the era when the whole world understood one language and speech, as mentioned in the holy book, the Bible (Genesis 11.1). Then neither was the world divided into Hindus, Muslims, Christians, Jews etc, nor broken up on the basis of modern day caste barriers. Then there were only two divisions in human society � Arya and Un-Arya (asurs, rakshas). Those who were not strong of character and men of words were un-arya. All mankind had only one culture. 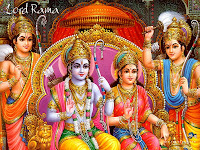 The most authentic and original source of knowledge about Ram is the Valmiki Ramayana. This noble work of literature credits Valmiki as the earliest poet of the world. The story of Ram did not remain confined to the pages of Valmiki Ramayana, but it also finds a mention in various other scriptures of history and ancient literature. It is talked about in Muni Vyas's Mahabharata at four places -- Ramopakhayan, Aaranyak Parva, Drona Parva and Dashrath Kathanak; in Buddhist literature it finds mention in three Jatak parables, viz, Dashrath Jatak, Anamak Jatak and Dashrath Kathanak; in Jain literature many manuscripts were written on Ram, like Padam Charitra (Prakrit) by Vimal Suri; Padam Puran (Sanskrit) by Ravisen Acharya; Padam Charitra (Apbhransh) and Charitra Puran (Sanskrit) by Swambhu; and Uttar Puran (Sanskrit) by Gunbhadra. As per Jain tradition the original name of Ram was 'Padam'. The story of Ram was also written in various other Indian regional languages. There are at least 11 versions of Ramayana in Hindi, eight in Marathi, 25 in Bangla, 12 in Tamil, five in Telugu and six in Oriya. Apart from these, more versions of the Ramayana have been written in Sanskrit, Gujarati, Malayalam, Kannada, Assamese, Urdu, Arabic, Persian, etc. The Hindi Ramcharitmanas authored by Tulsidas has achieved a very prominent place in northern India. More than 400 great poets and saints like Kalidas, Bhas, Bhatti, Praversen, Bhavbhuti, Kshemendra, Rajshekhar, Kumardas, Vishwanath, Somdev, Gunadutt, Narad, Lomesh, Guru Govind Singh, the Samarth Guru Ramdas, Maithili Sharan Gupt, Keshavdas and Saint Tukdoji etc, have written poems, prose and literature on Ram and other characters of the Ramayana. Even in other countries we can find versions of Ramayana, like the Tibetan Ramayana, Turkistan's Khotani Ramayana, Indonesia's Kakbin Ramayana, Java's Seratram, Sairiram, Ramkeling, Patani Ramkatha; Indo-China's Ramkerti (Ramkirti), Khamer Ramayana; Burma's Ramyagan of Yuto; Thailand's Ramkiyen etc all narrate the story of Ram in a picturesque way. Scholars also believe that Homer's Illiad and the Dionysia of poet Nonus of Rome have surprising similarities with our Ramayana. In world literature, no other historical person has been narrated with so much devotion on such a grand, magnified and detailed scale by so many poets and authors of varied countries. All over the world, not just hundreds but thousands of temples of Ram, Lakshman, Sita, Hanuman [Images], etc are being constructed since time immemorial. The walls of the 9th century Shiv temple Parambanan (Parambhram) of Java and the 11th century Angkorwat Temple of Cambodia are pictorially engraved with the scenes of Ramayana and Mahabharata. Hundreds of terracotta based on the Ramayana have been found from Sirma, Haat, Nacharkheda of Hisar; Jind, and Santhai (Yamuna Nagar) of Haryana; Koshanbhi (Allahabad), Aahichatra (Bareilly), and Katinghar (Etah) of Uttar Pradesh and Bhadra (Shriganganagar) of Rajasthan. They depict the major events of Ram's exile, mainly Ram, Sita and Lakshman's Panchvati gaman; Maareech Mrugh (golden deer); the dialogue of Tirshira with Khar-Dushan; the execution of 14 demons by Ram; Sita-haran by Ravan; Sughreev sighting Sita throwing down her ornaments from Pushpak (Ravan's plane); Sughreev welcoming Ram to his abode; Sughreev-Bali combat; Ram's assassination of Bali; Hanuman burning Ashok Vatika; Trishira Rakshas's killing; Indrajeet, the son of Ravan, going to war, etc. Some of the terracotta have the verses of Valmiki Ramayana written in the script of pre-Gupta age. They can be seen in the archaeological museum of Gurukul Jhajjar (Haryana). Apart from these, hundreds of terracotta can be seen in different museums of India as well as in the British Museum of London [Images]. Kushan emperor Kanishka had an engraving of the wind-god Hanuman on his regime's seal. Emperor Akbar had also similarly depicted Ram-Sita on one of his golden guineas. Scenes from Ramayana have been sketched in the Safdarjang Madarsa of Delhi. Central India's Dhar and Ratlam principalities had engraved Hanuman on their seals. Brass guineas introduced by the Sant regime also had the etchings of Ram and his three brothers, as well as Sita and Hanuman. The biggest travesty of facts is that even after so many literary and archaeological evidence, Lord Ram is not universally accepted as a historical personality. According to ancient Indian chronology and Puranic tradition Ram was born in the 24th Treta Yuga (Great Age). Apart from the Valmiki Ramayana and other versions of Ram's biography, there are four important references to Ram, Ravan, etc in ancient scriptures. On the basis of the given literary references and evidences it can be inferred that Ram, Ravan, Vishwamitra etc lived in the 24th Treta Yuga. According to the Mahabharata, Ram lived in the transition phase between Treta and Dwapar ages. It however does not mention the order of the Treta. It will help to know that Satyug, Treta, Dwapar and Kalyug have a continuous cycle, like the cycle of the months in a year or the days in a week. As Monday is followed by Tuesday and January is followed by February, Satyug is followed by Treta and this cycle continues endlessly. Or these, Kalyug has the shortest span of 4,32,000 years, Dwapar is double the years of Kalyug at 8,64,000 years, Treta is triple the years of Kalyug at 12,96,000 years and Satyug is four-times the years of Kalyug at 17,28,000 years. Thus one unit of four yugas is called Chaturyugi, having a total of 43,20,000 years. We are presently in the Kalyug of the 28th Chaturyugi and so far 5,108 years of Kalyug have lapsed. If we accept that Ram indeed lived during the last phase of the 24th Treta Yuga then it can be calculated that he lived 1,81,49,108 years ago. But if we accept that he lived in the Treta of the present 28th cycle of Chaturyugi then he lived 8,69,108 years ago. After so many years it's impossible for any buildings, dwellings, statues, seals, coins, cloths, bones or weapons to exist. There also cannot be physical records or evidences of every person who walked this earth so long ago. Even if someone has passed away five generations ago without leaving his progeny behind, we have no natural or physical evidence to prove his life. Even if he had a house, without documentary evidence or word-of-mouth we cannot prove that it belonged to him. Even in modern times, the existence of the ruling presidents and prime ministers of today cannot be proved 1,000 years hence without any literary proof. Their story can be passed verbally from one generation to the next but no physical evidence of their existence will be available. In the last few years, some highly motivated computer-literate group of people have designed a software called 'Planetarium Gold Software' which is generally used by scientists to measure the distance and locations of planets from earth and to predict lunar and solar eclipses. The Valmiki Ramayana (Bal Kanda 18.8.9) mentions (the planetary positions vis-�-vis zodiac constellations) at the time of Lord Ram's birth as 'the ninth lunar day of the bright fortnight of Chaitra, asterism Punarvasu was in the ascendant and (as many as) five planets (viz, the Sun, Mars [Images], Saturn, Jupiter and Venus) happened to be exalted (appeared in the zodiacal signs of Mesa or Aries, Makara or Capricorn, Tula or Libra, Karka or Cancer, and Mina or Pisces respectively) and Jupiter in conjunction with the Moon appeared in the zodiacal sign of Karka'. The same details were entered in the Planetarium Gold software to determine the important dates in the life of Lord Ram vis-�-vis the present planetary positions and zodiac constellations and calculated that Ram was born on January 10, 5114 BC, which means to say 7,122 years ago. While they deserved all appreciation and thanks for this new approach, their ignorance of astronomical calculations and in the absence of any literary proof, their result cannot be relied upon. According to astronomy, the positions of zodiac constellations come back to their original place after a cycle of approximately 26,000 years. For this reason, the exact same planetary position repeats itself every 26,000 years. So, Ram could have been born in any of the repetitive cycles in planetary positions. 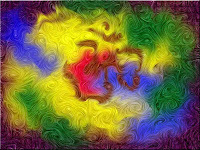 Even if we believe Ram to be born in the Treta of the present 28th Chaturyugi, as mentioned earlier, the position of constellations have completed 33 cycles and if, according to literary evidence, we believe Ram to be born in the Treta of 24th Chaturyugi, then the position of the constellations have completed 698 cycles. The scientific interpretation of the photographs of the remains of Adam's Bridge (Ram Setu) taken by NASA's [Images] Gemini-11 spacecraft in 2002, reveals that this ancient bridge linking India to Sri Lanka [Images] was manmade, and it was dated to be at least 1.75 million years old. According to Valmiki Ramayana, it is true that Ram and his engineers constructed this bridge for transporting his army into Lanka. If we accept that it was indeed Ram who got this bridge constructed then he lived in the middle years of the 28th Treta, and not in the 24th, and neither in the transition between Treta and Dwapar of the 28th era (Chaturyugi). Even if we accept this, it doesn't alter the calculations based on planetary positions of the constellations. Then the constellations would have completed 66 cycles before coming back to its original position. It is also not wrong to state that an email message was sent by NASA officials in July 2007 to N K Raghupati, chairman of the Setu Samudram Ship Canal Project, stating therein that the remains of the bridge do not appear to be connected to any human activity. Why NASA differed from its original stand is unknown. Even if Adam's Bridge is a natural geological formation, it could have been beautifully used by Ram to construct a temporary bridge for his army to cross over to Sri Lanka. No scientific test has yet been carried out to measure the ascending or descending contours of Adam's Bridge. Moreover, after millions of years since its construction, no human activity can be linked to this or any other structure. Most foreign scholars and Indologists believe that Indians taught and learnt their lessons verbally, without the aid of any written material. Indians did not even know how to write. They were not inclined towards maintaining any historical records, nor did they have any notion of placement of events in its proper sequence in time. They believed that the Aryans came from abroad, defeated the original inhabitants of India, the Dravidians, and settled here. The Harappan civilisation was destroyed by invading Aryans. The human history they know is only 5,000 years old. The ancestor of man was an ape or a chimpanzee. In brief it can be stated that all the above assertions of foreign scholars are unscientific, illogical, untrue and pure false propaganda. It has been revealed across the world today that scholars like Max Muller, H H Wilson, A A MacDonell, Rudolph Roth, Albrecht Weber, Ralph T H Griffith, M Winternitz, Monier-Williams, all had the same basic objective which is expressed in Max Muller's words which he wrote in a letter to his wife: 'This edition of mine and the translation of the Veda will, hereafter, tell to a great extent on the fate of India. It is the root of their religion and to show them what the root is, I feel sure is the only way of uprooting all that has sprung from it during the last three thousand years.' (Life and Letters of F Max Muller, Vol I, Chapter XV, Page 34). Similarly, Monier-Williams wrote in the preface of his Sanskrit-English dictionary: 'I must draw attention to the fact that I am only the second occupant of the Boden Chair and that its founder Colonel Boden stated most explicitly in his will (dated August 15, 1811 AD) that the special object of his munificent bequest was to promote the translation of scriptures into English so as to enable his countrymen to proceed in the conversion of the natives of India to the Christian religion'. Prof Goltuster had revealed that Roy, Weber, Whitling, Fuhan, and other scholars were determined because of some mysterious reason to ruin the prime glory of India in any way possible. More recently, in July 2007, a book titled Invading the Sacred: An analysis of Hinduism studies in America edited by Krishna Ramaswamy, Antonio de Nicolas and Aditi Banerjee was released in Mumbai. The book states, 'Unlike in India, the academic study of religion is an important undertaking for intellectuals in America and a few hundred scholars study Hinduism and other Indian religions. Many of them have continued to perpetuate myths and biases about Indian culture and religion through misinterpretation and mistranslations. These are in line with the colonial and missionary caricature of India.' The book is the product of a multi-year research project that uncovered shoddy and biased scholarship driven by certain power cartels, its authors said. Let us also know the fact that McCaulay did not know even one Indian language but he commented on all Eastern wisdom, James Mill never visited India but he wrote on Indian history. None of the foreign Indologists like Max Muller, Winternitz and Griffith had any knowledge of Vedic grammar , astronomy, metre (chhand) etc but they all translated Vedas and assumed the status of authorities. As per Vedic time computation and tradition, the age of creation is 4.32 billion years, and the sankalp mantra 'Om tatsat adhay bharamano dutya parardhey swetvarahakalpe saptmein vaivasvat manvantare astahvinsatitame kaliyuge kaliprathme charne _____ gatabde'. They have kept intact the history of the time of creation and the advent of man on earth till today. Man arrived on earth exactly 1,97,29,49,108 years ago (approximately two billion years ago). Some Vedic scholars also believe that man was created on earth only in the seventh manmantar of Vaivasvat Manu. The sun, planets, stars, earth, sea, vegetation, flora and fauna were created in the earlier six manmantars in a very scientific manner. If we accept this theory, then man was born about 12,05,33,108 years ago. At least this much is certain, that the history of mankind is indeed very long. Indians always knew the art of writing. The Rig Veda (10.71.4) says speech has two forms -- one which can be heard (shravya) and one which can be seen (drishya). Script was in vogue since ancient times in India. Bhojpatra and tadpatra (papyrus) were abundantly available in nature before man walked the earth. Like paper, even these forms of recording scripts was not permanent. Manuscripts were copied onto new papyrus if they got damaged due to climatic conditions. How else would we find thousands of ancient manuscripts in India? How else would we remember the Vedas, epics, scriptures, and other astronomical subjects? Yes, there were definitely a few people who felt pride in memorising one or more of the Vedas. If we believe that at that point in time the intellect and memory of the people were very sharp and elephantine compared to the modern man, then this logic also goes against the evolutionary principles of Darwin. The truth is that Indians knew how to write -- and wrote a lot! No other country in the world has such a rich and vast literary treasure. What other proof can be asked for to say that the Indians could write? Darwin's unnatural and unscientific theory is now also being rejected by many scientists and scholars world-wide. Because of their religious faith some Western scholars who earlier believed that the age of the earth was approximately 6,000 years, now agree that the earth is aged between 3.96 and 4.3 billion years. If earth is so old then how can man inhabited it after such a gigantic time gap? American scholar Michael Cremo's recent books Forbidden Archaeology and Devolution of Man based on scientific discoveries prove that the Darwin theory has hardly any truth and that man came on earth at least two billion years ago. Cremo and his co-author Richard Thompson have quoted a lot of archeological evidences which undoubtedly prove that scientists in the last 150 years have collected so many facts which disprove many fundamental theories in history, linguistics and science. Many scientific journals had also published these discoveries but the mental block created by the evolution theory of Darwin and the limit of 5,000 years of human history did not pay due attention to the new discoveries. These scientific discoveries and facts prove that the history of mankind is billions of years old. The foreign scholars and their Indian followers who have spread the mythological canard that Ram and Ramayana are historically untrue, figments of imagination and only a fable are no more responsible than some of our Indian poets and writers. The preachers and exponents of Ram Katha and the directors and actors of Ramlila have inadvertently and ignorantly further contributed to the doubts about the genuineness of Ram. Devoid of true faith and unaware of the true glory of God, we have turned Ram into God and God-incarnate. Like the fables of Panchtantra we have metamorphosed the erudite scholar of Vedas and a guru of grammar, Hanuman, into an ape; the architect of Ram Setu, Jambavan, into a bear; the famous doctor-surgeon Sushen and his colleagues Angad, Bali, etc into monkeys; the brave Jatayu who was the former king of Gridhkoot who fought Ravan in the sky after the abduction of Sita, into a vulture. The most shocking belief is that the most beautiful scholar lady Tara was married to the monkey Bali. Sita was believed to be born of the earth and ultimately returned to Mother Earth. Our imagination knew no bounds. Valmiki knew Ram to be a human, a noble man, the best of his era and in his time wrote Ramayana as both were contemporary. He has also shown Ram to possess human traits and emotions, just like any ordinary person. We, in our blind faith, have accentuated the question marks on the historicity of Ram and Ramayana by treating Ramayana like a fable and depicting its noble characters as birds and animals. Our foolish beliefs did not end here. We spin strange new stories which ultimately maligned the noble character of Ram. Ram never disowned Sita or exiled her to the forest in a pregnant state. Valmiki never wrote this. We got the Seer Shambook executed by Ram, calling him a shudra. Valmiki never mentioned this. No intellectual scholar or tapasvi could be a shudra, at least in Vedic times. But through interpolations and additions in the modern day Ramayana we have made Maryada Purshottam Ram into a person inflicting injuries and harassment on women and low-borns. Valmiki's Ram was the bravest among the brave, the noblest among the noble, but not God. 1. Can our saints and seers, who have from birth till death spoke the truth, acted with truth and preached only the truth, become the liars today and their writings unbelievable and false, whereas the foreign scholars and their native modern followers are truthful? Were our ancient visionaries and authors like Rishi Valmiki, Muni Vyas, Kalidas, Bhas, Bhavbhooti, Ashvaghosh, Samarth Guru Ramdas, Guru Govind Singh, Swami Dayanand, Swami Vivekanand, the leading lights of Buddhist and Jain traditions, etc were liars, selfish and believed in the imaginary, whereas today's professors and scholars of our colleges and universities, writing about history and culture are more learned, committed to truth and missionaries of humanism? 2. Man first wrote true stories and history, and later learnt how to write fiction. India never had a tradition of writing about imaginary characters, as our country was never short of real-life heroes. 3. Are our history, puranas, smritis and Upanishadic parables fables and fairy tales, and Western legends and mythologies all true? 4. Has any community in the world ever celebrated the birth or death anniversaries of any fictitious person? If this is true, then how can the birth anniversary of Ram, Ram Navmi, be celebrated since thousands of years, year after year, in many countries of the world? 5. Has any fictitious character been written about repeatedly even by 10 to 20 writers? The story of Ram has been told and retold since time immemorial by thousands of seers, poets, writers and authors in different languages and in different countries of the world. Valmiki proudly says to Ram, 'I am the 10th son of Pracheta, and I never remember speaking even one untrue sentence'. How can such a missionary and follower of truth could have written an imaginary story of Ram? 7. Has anyone given a detailed description of generation after generation of a fictitious, imaginary person? Kalidas has described 19 generations of Raghuvansh, Ram's ancestors and descendants, in his book Raghuvansh. Shabdakalpdrum has mentioned the 11 names of Ram's lineage as Bahuk, Sarg, Anshuman, Asamjas, Dilip, Bhagirath, Aja, Dashratha, Ramchandra, Kush and Luv and has mentioned these kings were the world rulers in that era. Even after all this if we don't accept Ram as a historical figure it is beyond the realm of wisdom. 8. Has anyone ever questioned the character of any writer when the hero and writer were contemporary? Rishi Valmiki was a contemporary of Ram and has used the present tense in the Ramayana, not the past and future tense. Then how can we question the historicity of Ram and other characters of the Ramayana? 9. Even in modern times if we want to know the age of any person, we first look for his/her school or college certificates or his horoscope. If someone has no papers or documents to know his age then he is subjected to an ossification medical test. But when the question is of any ancient historical person, why do we ignore the writings and literary evidences and instead search for archeological evidences in buildings, statues, seals and bones found buried in earth? 10. When the foreign Indologists and historians and their blind Indian followers want to search for history in the divine revelation the Vedas, they quote the Rig Veda (10.60.4.4) where there is a mention of Iksvaku, the ancestor of Ram and the founder of Ayodhya. The Atharva Veda mentions Ayodhya as having nine gates. The Atharva Veda (18.3.16) mentions the name of Vishwamitra, Vashista the preceptor of Ram, and Bhardwaj. But when it comes to Ram and Ramayana, they claim it is all mythological and fictitious. Is it not hypocritical? 11. Even today, some of the Asian countries believe in Ram, Ravan, Lakshman, Sita and Hanuman. 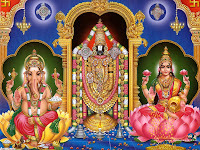 Sri Lanka believes in the Ramayana and therefore till date has proudly shown the coronation of Vibhishan in its parliament; Ashok Vatika has been converted into a famous tourist attraction and not only that, the Sri Lankan government is still paying pension to the descendents of Ravan. Thailand has a place Ayodhya, and the king there is still called Ram, even though a Buddhist. The most important event took place in the history of Indonesia. In November 1949, the Dutch government agreed to give independence and sovereignty to the Indonesian Islands, except Erian (New Guinea). The Indonesian public launched an agitation, asking also for the inclusion of New Guinea, but the Dutch government asked for any irrefutable proof to prove that New Guinea was an integral part of Indonesia. Then the people of Indonesia, who have a tradition of reciting the Valmiki Ramayana quoted the following verse 'Yatanvanto yavdweepam ______ shishiro naam parvat' (Kiskindha Khand, Sarg 40, Verse 30-31), which meant that 'Sughreev had advised the leaders in his army to visit the eastern frontiers, in search of Sita, to go to Yavadwipa (Java) -- the conglomeration of seven kingdoms, and from there to visit Swarnadeep (Sumatra) and after Sumatra to visit Shishir mountain (New Guinea) inhabited by gods and demons, which kisses the sky with its summit'. After reading this ancient irrefutable evidence, the Dutch handed over New Guinea also to Indonesia. New history was created in Indonesia just because of the Ramayana. In conclusion, it would not be wrong to say that not believing in the historicity of Ram and Ramayana would be obstinacy and an act of scholastic arrogance. Whether someone has faith or not, history is history. We might not have faith in Ayodhya, Saryu, Ganga, Sri Lanka, Ram, Sita, Hanuman, but how can we doubt their historical existence? I would like to recall the words of Swami Vivekanand to Indian writers of history and every scholar of our soil: 'When a man has begun to be ashamed of his ancestors and his past, the end has come'. The birth anniversary of Ram, Ram Navmi, may awaken in us a true faith, which is devoid of ignorance and myopia. And let us inculcate the richness of character and righteousness of Ram in our midst. Here is the original URL for the above article - Proving The Historicity of Lord Rama.